Gold horse - You are in rapids mode. Rapids is currently on your bar. Dark horse - You are not in rapids mode. Your original bar is current. Purple (and pink) horse - You were in rapids mode when you entered combat and tried to leave rapids mode in combat (too late). You will have rapids on your bar until you get out of combat. Once you leave combat, rapids will be removed from the bar and you will have your original skills back. Why the purple/pink horse? It is bright and very distinct from the (also bright) gold horse (both of which tells you that your bar currently has rapids on it). You control which slot is used to temporarily house the Rapids skill when you are in Rapids-mode with a settings option. When you change active bars while in Rapids-mode, the Rapid Maneuvers skill will be added to the second bar as well. When you leave Rapids-mode, the skill will be removed from the active bar and replaced with whichever skill you originally had there. Likewise, when you swap bars, the original skill will be replaced on the new active bar as well. Since only the active bar can be changed by an addon, if you changed bars while in Rapids-mode then you must change bars again while you are out of Rapids-mode to restore your bars to original settings. You control when you are automatically put into or removed from "Rapids-mode" through the addon settings. Any of the techniques for exiting mode can be used after any of the techniques for entering Rapids-mode. 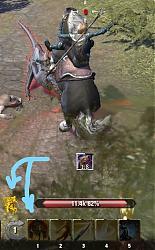 So for instance, you can mount your horse, and use the keybind to leave mode instead of dismounting. In order to use the key binding on your toons, you must set up the key binding for each of your characters that you want it to be setup for. ESO does not provide a way to set a key binding that is remembered account-wide. Be aware that you do not want to be in Rapids-mode when you go into combat. Due to the limitations of the game, you (and this addon) are not allowed to make changes to the weapon bars while you are in combat. This means that if you are in Rapids-mode (i.e. have Rapid Maneuvers slotted) and someone attacks you, you are stuck with Rapids in that slot until you leave combat again. Therefore, it is in your best interests to be in Rapids-mode for as little time as possible. Also, if you swap weapons while you are in Rapids-mode, then Rapids will be added to the second bar as well - but will not be removed from the first bar until the first time that you swap back while you are no longer in Rapids-mode. This is because from an addon, you can only change the active belt and the addon is only notified of the new active belt after the former is not active anymore. This can become a problem if you go into Rapids-mode, swap weapons to set 2, go out of Rapids-mode, and then go into combat; your first bar will still have Rapids on it and cannot be changed back until you leave combat. 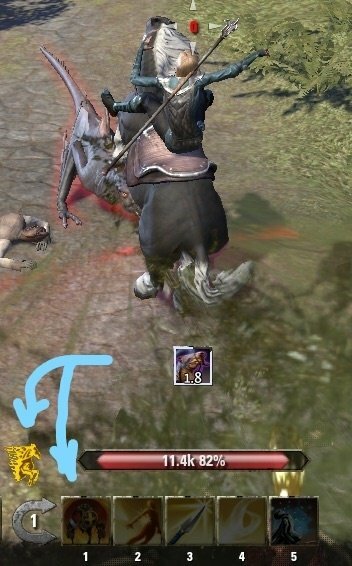 My recommendation is to avoid swapping weapons bars while in Rapids-mode - especially when you are in Cyrodiil and prone to being attacked unpredictably. Note: If a character has not yet earned the Rapid Maneuvers skill, this addon will do nothing for that character. For those familiar with the addon "Assist Rapid Riding", while similar in concept this addon was implemented quite differently. What that means for you is that this addon can seamlessly replace and restore the skill when you use either the keybind or autoswapping on mounting or unmounting and can also handle weapons bar swapping. Added in the unmorphed Destruction Staff abilities and the morphs that I forgot about. Make the Destruction Staff abilities work with FastRide. "Unstable Wall of Elements", "Destructive Reach", and "Pulsar" are now recognized in their elemental variations and swappable with Rapids. This does work with the English client and should work with other language clients. In order to work around the long-lived Zenimax problem of not being able to properly execute rapid maneuvers while you are not mounted and have weapons sheathed, FastRide will now automatically bring out your weapons when you go into rapids mode while you are not mounted. Added a setting to allow you to turn off the new automatic unsheathing of weapons if you want the addon to behave the way that it used to. Automatic unsheathing is on by default. German translations for the new settings were made by Google Translation, so corrections are welcome. Change to use standalone libraries (LibSFUtils, and LibAddonMenu) instead of bundling the libraries with FastRide. Added the option to turn off autoswitching when mounting if Rapids effect is already active. This only affects automatic switching when mounting (if you have autoswitching turned on). 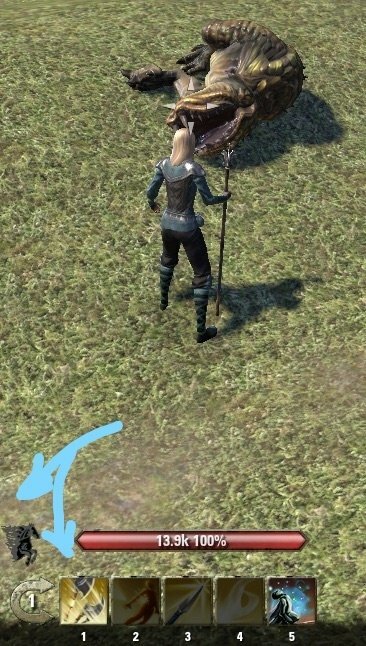 Removed the temporary fix now that ZOS has fixed the bug of not notifying when a player force-dismounted (by blocking, sneaking, or being pulled from your mount). The fix was included in today's patch. Note that with the latest ZOS patch, Rapids seems less likely to get caught on the belt when entering combat - it might take some getting used to the different behaviour. Fix initialization of accountWide setting to the default of true if it is missing. Upgrade libSFutils to version 10. 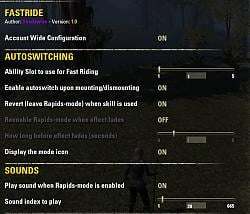 Introduce the ability to set the Rapid Manuevers skill in the case where you are running ESO in a foreign language and the addon guesses wrong about where the Rapids skill actually is in the skill tree. 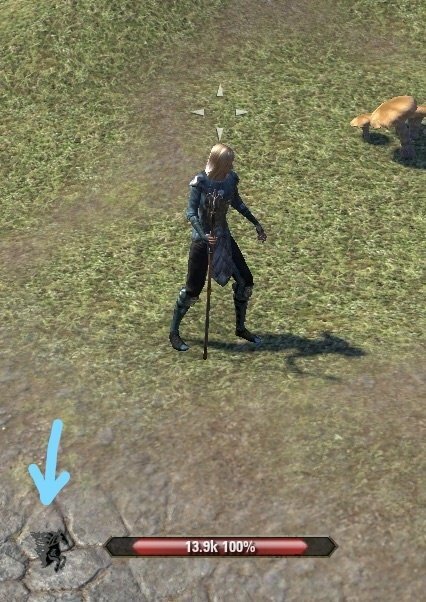 Because ZOS orders the skill lines alphabetically and that can obviously change where a skill line is depending on the language you are using, it is hard to guess where the Rapid Manuevers skill might be. 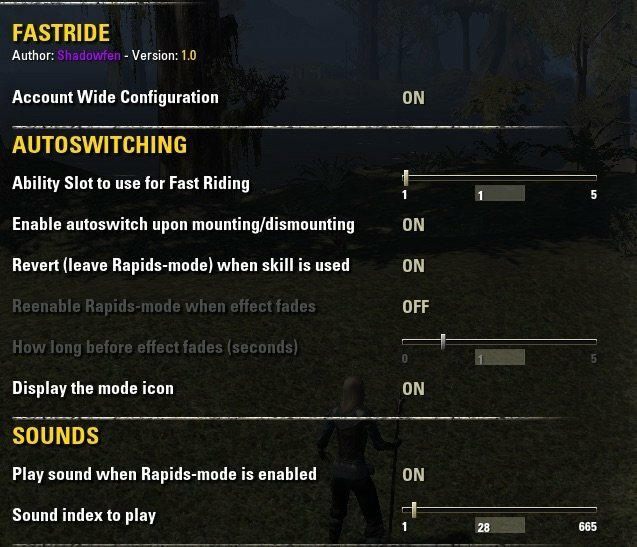 So, if FastRide puts the wrong (non-Rapids) skill on your bar when you go into rapids-mode, then you will need to go to the FastRide addon options to pick which of the skills in the skill localization list is the real Rapid Manuevers skill. This is the proper fix to replace the previous hack for German clients which should also allow other languages to work as well. German translation for the new settings option above were translated by Google Translate. Corrections are welcomed. Added a performance improvement of the previous also suggested by kafeijao. Many thanks kafeijao! Fixed nil value error reported by cak_dk. It was caused by having rapids unlocked on a toon that had not leveled up enough to be able to weapon swap. Added an adaptation of code to work around the ZOS bug that was not notifying that the player dismounted when blocking, casting a skill, or attacking. The code that I adapted was provided by kafeijao for the Assisted Rapid Riding - Murkmire patch to resolve the same problem there. Many thanks kafeijao! Experimental patch to work with the German client to find the Rapid Maneuvers skill properly. German translation added thanks to Lupidu. Debug command /fastride.rapidskill added to display information about the rapid maneuvers ability as it is currently known and then to reload it and display the newly acquired information for the ability. Specifically provided for debugging a problem that Lupidu is having with the German client and FastRide. Prevent Rapids from replacing a skill that cannot be restored. There are some skills which I cannot put back on the bar after they have been swapped out, because Zenimax doesn't give me the information to be able to. Those skills are primarily destruction staff skills which change names based on if you have an inferno staff verses a frost staff verses a lightning staff. There might be others that I'm not aware of but this change will consider them as well. Now, if you put one of those skills in the slot that you have designated for rapids to be traded into, FastRide will refuse to change the skill for rapids - since it cannot restore the original skill afterwards. You will still see the gold (or purple) horse, even if the skill does not get swapped out because you are still in Rapids Mode so when you swap to your other bar, FastRide will attempt to put rapids on that bar automatically. By default, a message will be sent to chat to inform you that FastRide could not change to rapids on the current bar, but that message can be turned off by an option in FastRide's settings. 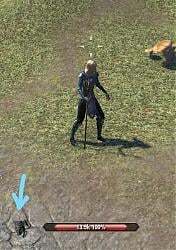 Stop walking the passives for the skill trees and the racial and crafting skill trees since those skills will never appear on a weapon bar. This should reduce startup slightly. 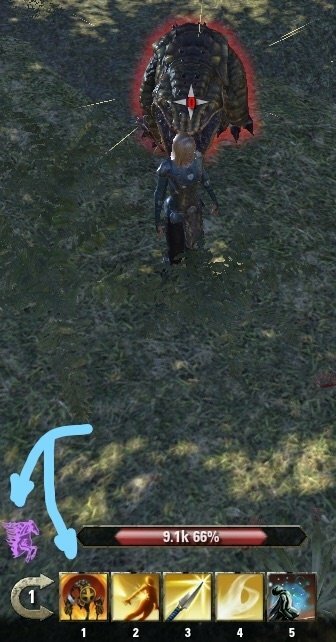 Since Summerset has come out, I have noticed some new (bugged) behaviors that have been introduced. Basically, there is a problem with rapids mode and whether or not your weapons are sheathed which has nothing to do with if you have this (or any other addon). If your weapons are sheathed, then rapids (or morphs) will unsheathe your weapons and not go into rapids mode. If your weapons are sheathed when you mount your horse, trying to go into rapids will dismount you (but you do get the rapids effect at least). If your weapons are out, then executing rapids will put you into rapids mode. If your weapons are out when you mount your horse, you will stay mounted while going into rapids mode. Removed dependency that was accidentally included in the last release. Fix automatic reenabling rapids ability bug. Added a rapids mode status icon that can be displayed on screen to tell you when you are in rapids mode or not. 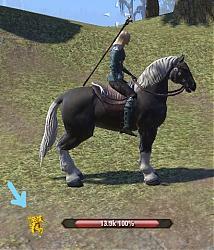 The gold horse is for rapids mode when rapids is on your belt. The dark horse is for when you are not in rapids mode. The purple horse is for when you tried to switch out of rapids mode while in combat - so it indicates that when you leave combat, rapids will be taken off of your bar. Modified so that when you morph the skill that is supposed to be on your bar but is currently replaced by rapids, the morphed skill is restored to your bar. Modified the reset on effect fade so that it only puts rapids back on the belt when the current effect fades AND you are mounted. It will not be put back on the belt automatically if you are not on your horse. That is a Zenimax bug that happens when you use Rapid Manuevers. It will happen even with Fast Ride is not installed. I cannot fix it. The "Automatically Unsheathe Weapons" option basically will (when you use the keybind to enter into Rapids Mode) bring out your weapons (if they are not already out) so that when you hit the slot to invoke Rapids, it will work. That is to work around another Zenimax bug that has invoking Rapids failing if you are on foot and have your weapons put away. I'm actually not until the end understand what you wrote, but I must admit, indeed, that error is not your addon, please forgive me. If I understand you correctly, you do not like the automatic unsheathing of weapons. Then go into the Settings and turn it off. It is the bottom option of the first section (AutoSwitching - Automatically unsheathe Weapons). If you are referring to the unsheathing of weapons when you come out of Rapids - that is a Zenimax bug. I cannot fix that. The problem is that the function (Automatically unsheathe Weapons) does not work. Weapons exposed at the end of the action (Rapid Maneover) does not depend on the position of the switch. It's very annoying. This bug occurs after moving to another location. Last edited by Sgy-x2 : 03/01/19 at 07:19 AM. Hey. Why do I need a function of the exposure of weapons, it does not turn off and is very annoying. Do something about it! If the weapon exposure function is off and do a reboot of the interface, then everything works fine. But if you change location, this function stops working and weapons orangette. Last edited by Shadowfen : 02/28/19 at 11:46 PM. Last edited by Sgy-x2 : 02/28/19 at 06:26 AM. The character does have Retreating Maneuver (a Rapid Maneuver morph) installed in Slot #3 -- to which Fast Ride is also assigned. So it does not matter whether the character moves on foot or mounted, I can cast R.M. for its buff to speed. However, I assign a different ability for Slot 3 while my character is not gathering crafting materials from nodes where they spawn. Fast Ride has no evident problem replacing that ability with Retreating Maneuver when my character mounts under that circumstance. When the swapping slot that you use for FastRide is already assigned some morph of Rapid Maneuvers, and you mount (or whatever to trigger a swap), you will get the "Unable to swap" caution because FR will not swap Rapids for itself. I considered checking for that condition before outputting the chat message, but decided against it because I find it useful to know when that happens. You can turn off the unable to swap chat messages in Settings, but it does it for all of them - not just the Rapids for Rapids attempted swap. After apdate to new version, addon stopped working. Does not find LibSFUtils. How to fix it? Thank you in advance. You must download LibSFUtils from this site (either using Minion, or direct download and manual installation). Version 2.6 now is able to work with Destro staff abilities "Unstable Wall of Elements", "Destructive Reach", and "Pulsar" in all of their elemental variations. Do you know what the base skill is (name that appears in the skills tree)? And could you equip a fire and an ice staff and give me the names and numbers for those variants too? Thanks. I've uploaded an update for you to try (as soon as it gets approved on esoui). Last edited by budist : 01/06/19 at 07:58 PM. Hasn't it been covered before, that spells like Wall of Elements (or their morphs) should not be selected as the skill to swap with Rapid Maneuver, since WoE changes name/effect depending which staff is used and that confuses ESO? Yeah i saw that, but even if i tried with another spell on my sorcerer (surge for instance), it still keeps bugging up. I downloaded assist rapid riding and it works well for the sorcerer.